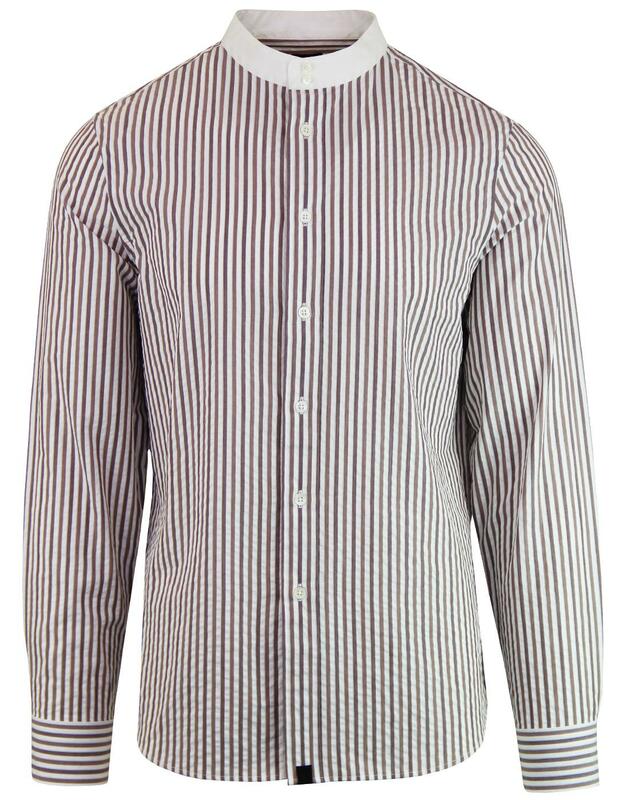 Pretty Green Black Label Seersucker Stripe Kaftan Shirt in brown. 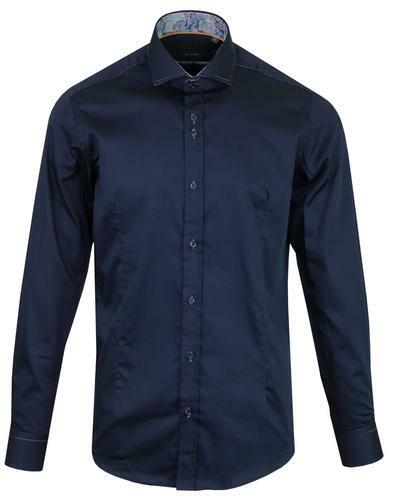 Inspired by classic mod style and eastern influences on 1960s fashions, this Pretty Green Black Label stripe shirt features Kaftan style double button grandad collar, intricate vintage lace inner placket trim and mother of pearl buttons. The textured seersucker stripe shirt utilises a fabric oft associated with Ivy League attire, ensuring an unusual take on the iconic Pretty Green Kaftan silhouette. 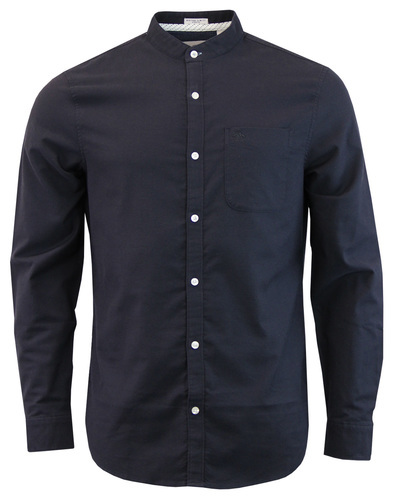 The Pretty Green 'Seeker' Seersucker Stripe Kaftan Shirt is part of the Black Label collection. 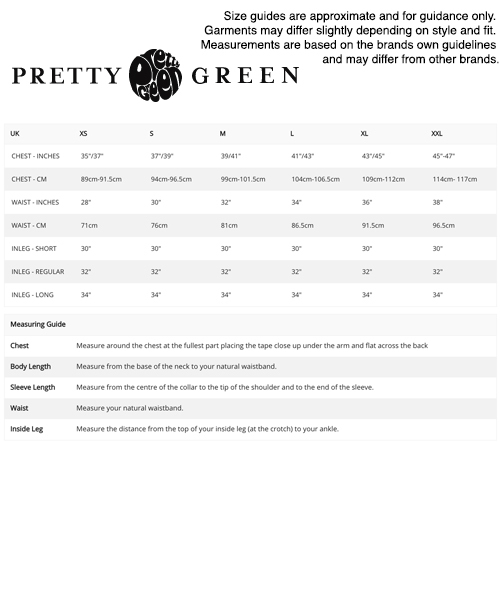 - Pretty Green Black Label 'Seeker' seersucker stripe Kaftan shirt. 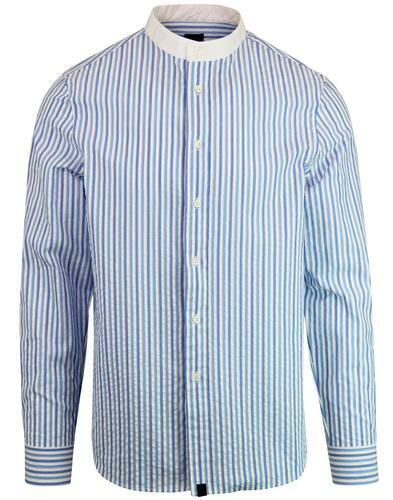 - White and brown stripe detail with blue pinstripe contrast. - Contrast lace trim to inner placket. 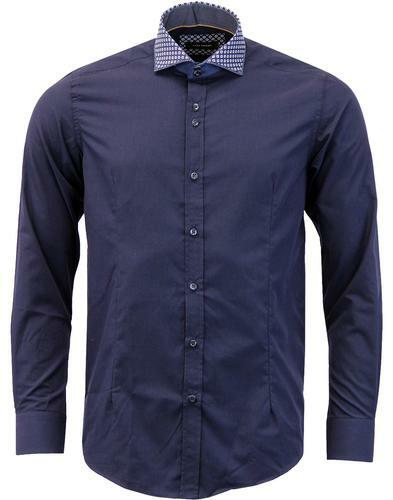 - Part of the Pretty Green Black Label collection. - SKU: S8BMU55179722 Seeker Seersucker Stripe Kaftan Shirt.